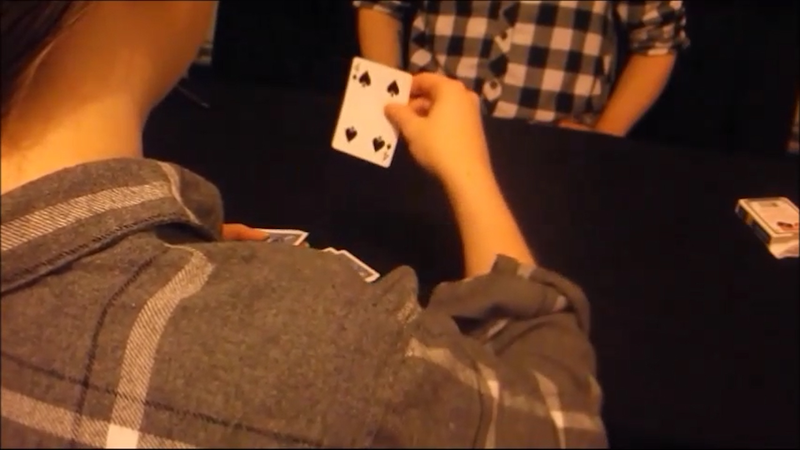 91 is a card trick that is well thought-out and put together by magic creator Matt Pilcher. Your spectator names their favorite suit. The cards are then shuffled and handed to the spectator. They then go through the cards one by one, placing those of their named suit off to one side. Once done, they pick up the cards of their named suit and begin dealing those down until they wish to stop. There is no force here -- they really do have a free choice as to where they stop, just like their free choice of suit. Once they stop, they look at the next card and remember it. They then place it back down with the other cards. There are no marked cards in play, so if you want, you can have them put the card in their pocket. Then you ask them to focus on their card and to project it to you in their mind. Sure enough, you reveal their randomly selected card EVERY SINGLE TIME! This needs to be in your repertoire! TODAY! So download the 91 video and learn this great effect!